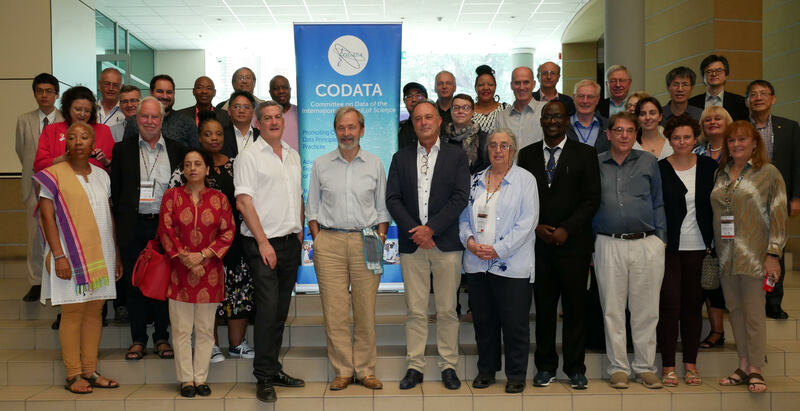 The 31st CODATA General Assembly took place in Gaborone, Botswana, on 9-10 November after the International Data Week 2018. The minutes of the 31st CODATA General Assembly (2018) are available here. The 2018 General Assembly was notable for the revision of the CODATA Constitution. The revised constitution, approved by the General Assembly is available here. Financial Report: John Broome, Treasurer. Presentation of the proposed revised constitution. Voting on the full revised constitution, incorporating any accepted amendments. Strategic Presentations and Discussion: Geoffrey Boulton, Tony Hey and Barend Mons. 16:30-17:30 National Committees and Unions – Activities and national priorities: Bonnie Carroll, Secretary General, and John Broome, Treasurer. Short presentations by candidate Task Groups (3 minutes each plus 2 questions). The GA took place at University of Botswana, 4775 Notwane Rd, Gaborone, Botswana.